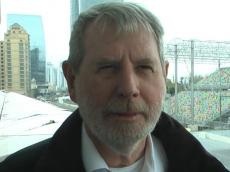 Preparation for Formula One races to be held in 2019 in Baku continues at an accelerated pace, Thomas Butcher, head of construction of the Baku City Circuit racing facility, told Trend. Butcher noted that preparations continue being carried out at a high level. “We can say that all the tribunes are ready. Only one tribune remains to be installed – the Azneft tribune. Its installation will begin on April 15,” Butcher noted. According to him, the local team is ready to work 24 hours. "Thanks to them, the work is going very well, but we are unable to control the weather conditions in Baku. We hope that the weather will be good," Butcher added.